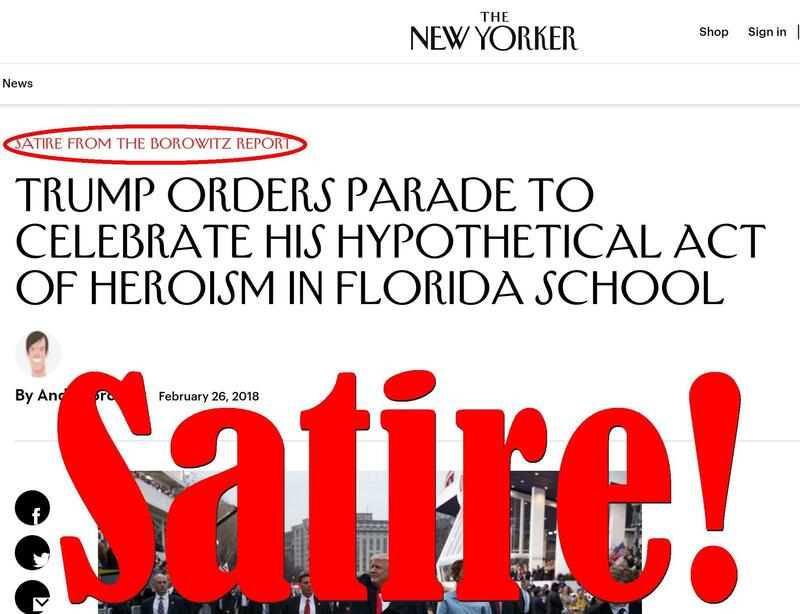 Reports that President Donald Trump ordered a parade to celebrate his hypotethical act of heroism in a Florida school are not true. 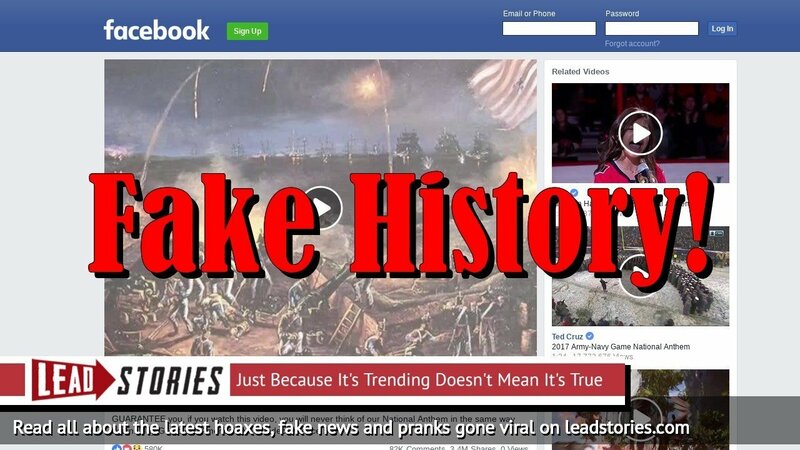 While it is accurate that Trump said he thought he would have run into a school where shooting was going on, even unarmed, as the video below proves, and there are news reports Trump made comments about the U.S. military doing a parade on Veterans Day, the two events are unconnected. WASHINGTON (The Borowitz Report)--Shortly after he declared that he would have run into a Florida high school unarmed to thwart a mass shooting, Donald J. Trump announced that he was planning a parade in Washington, D.C., to celebrate his hypothetical act of heroism. "Anyone can act with bravery in the moment," Trump told reporters in the White House. "But it takes a very special kind of hero to tell people about the incredibly brave thing he would have done weeks after the thing happened." WASHINGTON ( The Borowitz Report)-Shortly after he declared that he would have run into a Florida high school unarmed to thwart a mass shooting, Donald J. Trump announced that he was planning a parade in Washington, D.C., to celebrate his hypothetical act of heroism.